Did the global economy dodge an economic bullet yesterday? The U.S. and the European Union agreed to step back from the brink of imposing mutually punishing tariffs. The agreement — if there really is one — contemplates a future agreement to resolve trade differences. Like Brexit, this is an unformed plan to somehow resolve thorny differences at an undetermined date in the future. Omitted from the plan to make a plan is any clue as to ending the most potentially harmful tariffs, those on steel and aluminum. For a long time, I have been in the low-inflation-for-longer camp. Changing facts, including new tariffs and an escalation of the easily winnable trade war, have caused me to rethink that position. Barring a major shift away from the Trump administration’s trade policies, higher prices in lots of things are increasingly likely in the near future. What led me to rethink my views? 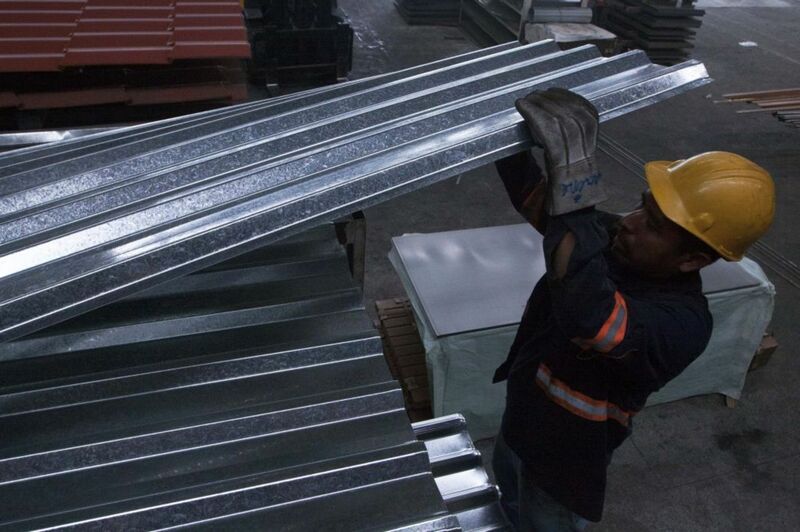 Steel prices are up more than 40 percent since Trump said on March 1 that he planned to impose a 25 percent tariff on steel imports and a 10 percent levy on aluminum. That is a significant increase that has yet to be passed through to consumers. But it will, and when that happens, potential risks to both the stock market and the economy increase dramatically. The tariffs have other implications: General Motors Co., Boeing Co. and United Parcel Service Inc. all cited metal tariffs as potentially lowering future revenue and profit. Other companies, including 3M Co., Harley-Davidson Inc., Whirlpool Corp. and Caterpillar Inc. have made similar public statements about the tariffs. Steel and aluminum tariffs pose a dilemma for companies: Passing along higher input costs to consumers risks hurting sales; don’t pass them along, and you crimp profits. Now for the really troubling news: If tariffs cause price increases to accelerate, the most natural outcome will be for the Federal Reserve to step up its cycle of raising interest rates. For the most part, the Fed has been sanguine about inflation. Policy makers still are concerned that the economic recovery is fragile, and as a result they have favored moving very slowly on rate increases. If we wind up with significant commodity inflation, though, here is how events might unfold. In the first chapter, various Fed officials and the president fan out to give speeches to offer reassurances of various kinds. These will range from a reminder that the Fed is on guard against inflation getting out of hand to deflection and blame-shifting and threats of more tariffs. Next will be larger and more rapid increases in the federal funds rate. This will be accompanied by a shift in the tone of the Fed commentary about monetary policy, with language suggesting increasing concerns about inflation. We are already seeing corporate profit forecasts fall, but things will become more serious once we actually see industrials and manufacturers miss quarterly earnings forecasts. By this point, consumers may start seeing larger prices increases than they’ve been accustomed to in recent years. Increases in the fed funds rate will eventually raise the cost of credit, and that will begin to spread the hurt to other sectors, such as the financial and real-estate industries. If it gets to this point, the economy will start slowing, with the risk of a recession becoming more likely. The financial markets will see this and begin to trend lower long before the official start date of any recession. When Trump was elected, I cautioned investors not to jump to conclusions. Politicians have to really screw things up before it starts affecting earnings and therefore stock prices. As recently as last month I suggested that a few modest tariffs won’t derail the economy — and besides the impact is already reflected in share prices. The facts have changed, and therefore we should be ready to changes our minds. 1. Wage gains seem to be primarily at the end points of the salary spectrum, with minimum wages rising after being stagnant for a long while; well-paying jobs in technology and professional jobs are also rising. 3. “When the facts change, I change my mind. What do you do, sir?” is often attributed to John Maynard Keynes. It may be merely an apocryphal story.